There are a lot of museums in Paris. When you include the suburbs, there’s over 130 of them to visit and explore, and contrary to popular belief, it’s not just artwork that can be found within their walls. The Musée des Arts et Métiers tells the history of science and industry, while the Musée des Arts Forains displays turn of the century fairground attractions. The Paris Sewer Museum may be smelly, but the history of providing drinking water to Parisians is surprisingly fascinating, and the Musée du Chocolat is just plain delicious. There’s even a Vampire Museum for those for whom the Catacombs just aren’t enough. There really is a museum for everyone in Paris, and on the first Sunday of the month, most of them are open to the public completely free of charge. Visiting a Paris museum for free is not a novel concept. Most of them are already free for everyone under the age of 18, and if you are an EU national under 26 or a student under 30 you can forgo a ticket as well. There are also numerous discounts and concessions available for jobseekers, low income families, veterans, visitors with disabilities, and professional artists, just to name a few. 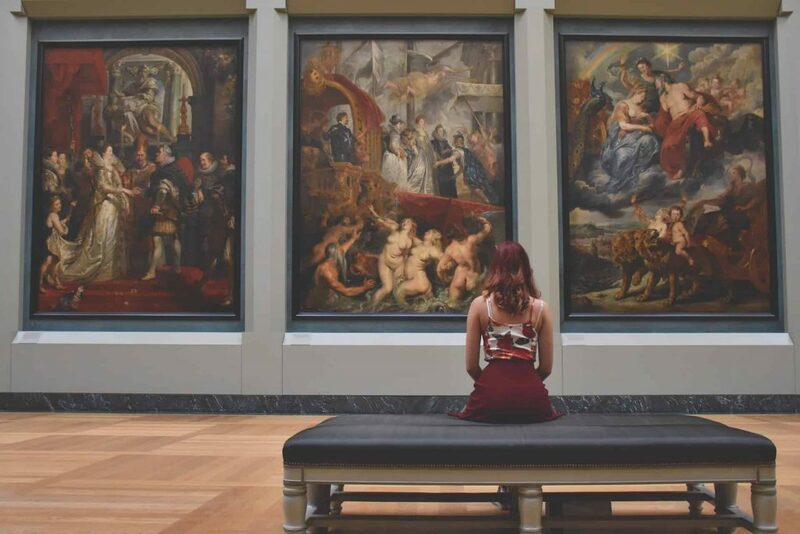 Furthermore, several museums, including the Shoah Memorial, Victor Hugo’s House, and the permanent collections at the Petit Palais and the Museum of Modern Art, are open free to the public year round. When taken together, the museums of Paris contain a virtual treasure trove of arts, culture, science, history, and heritage, and the city goes to great lengths to make these spaces as accessible as possible for as many people as possible. In 2000, Paris took this one step further by opening Paris museums for free one day a month. The day they chose was the first Sunday of every month, and this initiative has proven to be incredibly popular. Just how popular? Well, even during the quietest months in terms of visitors to Paris, people still turn up in droves, both visitors and locals alike, on the first Sunday of the month. Long lines can form around the city, especially at the major monuments, so if you’re heading to the Louvre, be sure to get there early to claim a spot. If you’re visiting Paris during the off season, you can also enjoy free entry to several monuments around the city, including the Arc de Triomphe, the Conciergerie, and the Pantheon. For a full list of free entry to museums and monuments, please click HERE. It’s important to note that it is never free to go up the Eiffel Tower, nor do they offer any discounts, so if you find “discounted” Eiffel Tower tickets online it’s likely a scam. That being said, if you just want a photo, the view from Trocadero is spectacular and free to visit. There is so much to see and do in Paris, and it can be hard to fit it all in, especially if you’re traveling on a budget. If it’s possible, plan to be in Paris the first weekend of the month in order to take advantage of the open doors of the city’s museums. No matter what your interest, Paris has the museum for you, and when the admission is free, what do you have to lose?